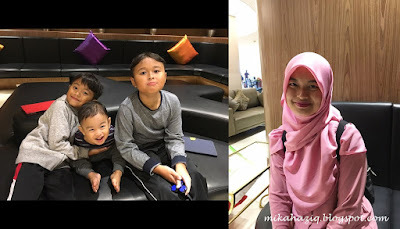 We decided to go on a one night trip to Genting Highlands to celebrate no 2's birthday. It was quite impromptu so we went up at nearly 4pm. 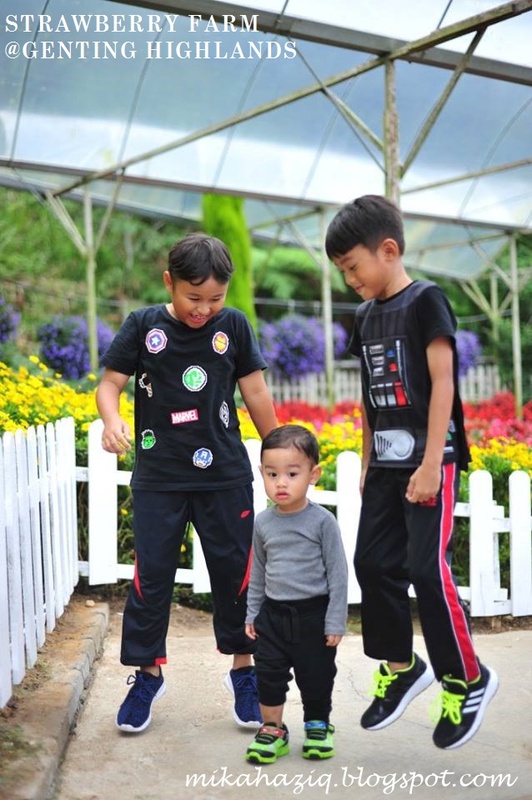 Before going up, we searched on what to do with kids there and saw that the theme park is only slotted to be open late this year or early next year and maybe the only places feasible to visit are the Strawberry Farm and the Insect World. The last time we went up to Genting was maybe 6 years ago lol.. so I was quite surprised to find out that I couldn't stand the drive up.. my 20 months old also was not happy with the winding road. I didn't remember feeling this bad 6 years ago..
We stopped by the strawberry farm before going to our hotel cos Best Western is at the other side of Genting (past the theme park area). We were not expecting much from the farm so we were pleasantly surprised with the cleanliness of it. Of course, I did not pay the toilet a visit. The flower garden (rose and lavender) inside was beautiful and almost make you think that you are outside of Malaysia, until you smell the cigarette smoke from some inconsiderate people who have to spoil the air. After the short trip to the farm, we headed on to Best Western. The hotel is fairly new and is about the same concept as the Best Western (The Haven) at Ipoh. But here the restaurant is bigger. They have a kids pool, an adult pool (sadly the view is not so nice) a small playground and a small green area for kids to kick a ball and what not. With the cool air.. it was quite a nice experience. The suite that we stayed in is a 3 room suite, 2 rooms with a queen bed and another with 2 single bed. The beds are all very nice except that the bed support in the master bedroom seems to be unbalanced. I can't sit at the foot of the bed while my son is lying down without feeling like the bed might topple. The kids liked the big space and we bought the movie "Ant Man" on the entertainment menu for the kids to enjoy. Dinner was at Kembali Kitchen which was huge (I almost didn't notice that the building was actually still in construction) and the food was great too (not fantastic but good enough to fill your tummy without complaints) That same huge restaurant was filled to the brim the next morning for breakfast (Public Holiday) and even though the breakfast options were slightly limited (there were enough options just not one that makes you go crazy to try all) the staff ensures that supply is never lacking. I really liked the hotel and I feel that it is nice enough to be a weekend destination with the kids, if they further develop the surrounding area with a nice garden trail and a few activities, it would be perfect. On the way back, we passed the Insect Kingdom but noticed it a tad too late, so we had to give it a miss since no way am I turning back with that road haha..